Mon., 2 Mar. - Mon., 9 Mar. Mon., 16 Sep. - Fri., 4 Oct. Sat., 4 Jan. - Sun., 1 Mar. Thu., 19 Sep. - Tue., 8 Oct. Thu., 17 Oct. - Tue., 22 Oct.
Fri., 18 Oct. - Mon., 28 Oct. 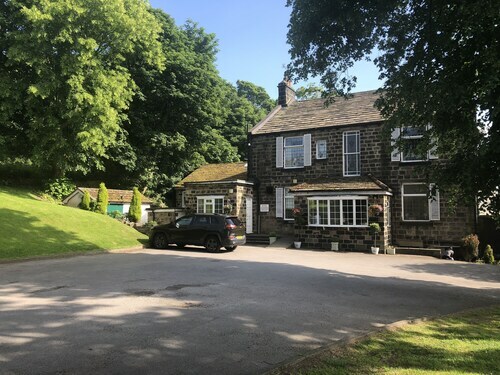 Situated in Leeds, this inn is 2.4 mi (3.8 km) from Otley Chevin Forest Park and within 6 mi (10 km) of Horsforth Hall Park and Chevin Forest Park. Bradford Industrial Museum and Golden Acre Park are also within 6 mi (10 km). 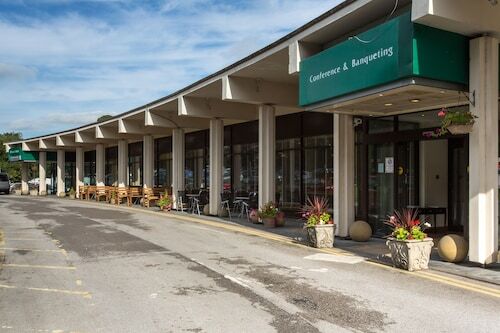 Situated near the airport, this hotel is 1.6 mi (2.6 km) from Golden Acre Park and within 6 mi (10 km) of Harewood House and Otley Chevin Forest Park. Chevin Forest Park and Horsforth Hall Park are also within 6 mi (10 km). 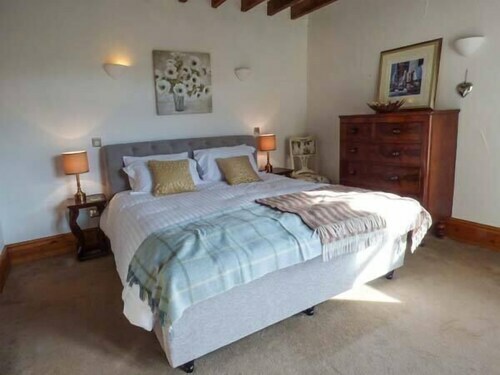 Situated in Leeds, this cottage is 2.9 mi (4.6 km) from Otley Chevin Forest Park and within 6 mi (10 km) of Horsforth Hall Park and Chevin Forest Park. 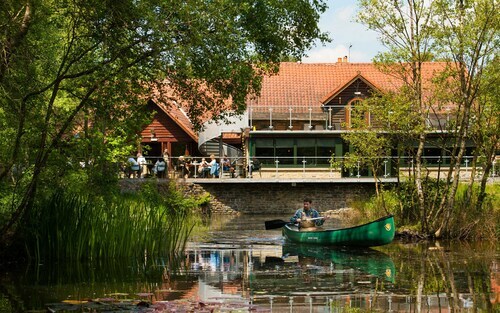 Bradford Industrial Museum and Rodley Nature Reserve are also within 6 mi (10 km). Guiseley Station is 30 minutes by foot. 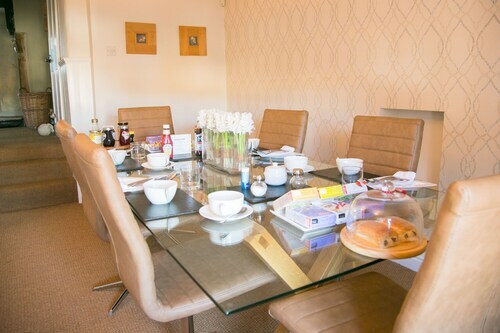 Situated near the airport, this spa hotel is 0.7 mi (1.1 km) from Otley Chevin Forest Park and 1.6 mi (2.6 km) from Chevin Forest Park. Golden Acre Park and Horsforth Hall Park are also within 6 mi (10 km). 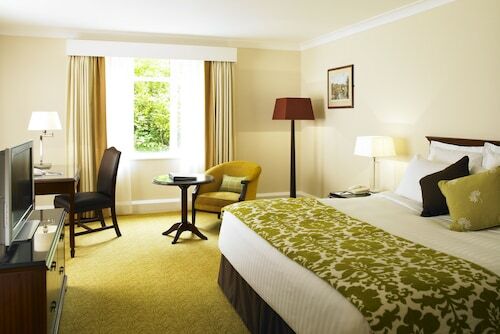 Situated in Leeds, this inn is within 9 mi (15 km) of University of Leeds, O2 Academy Leeds, and Elland Road Stadium. First Direct Arena and Leeds Grand Theatre are also within 9 mi (15 km). Situated in Leeds, this cottage is 2.3 mi (3.7 km) from Otley Chevin Forest Park and 3.1 mi (4.9 km) from Chevin Forest Park. Horsforth Hall Park and Golden Acre Park are also within 6 mi (10 km). 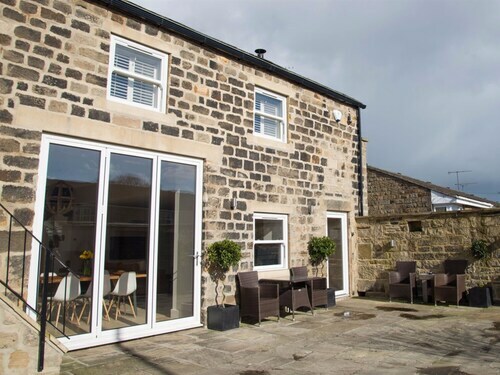 Situated in Leeds, this guesthouse is 2.7 mi (4.3 km) from Otley Chevin Forest Park and 3.1 mi (4.9 km) from Chevin Forest Park. Horsforth Hall Park and Salts Mill are also within 6 mi (10 km). Guiseley Station is 8 minutes by foot. Question : Is there an alternative airport near Leeds? Answer : There is another airport outside Leeds. Manchester Airport (MAN) is 43 miles away from LBA, and over the next two months flights are being booked 52% cheaper than flights to Leeds Bradford International Airport. Question : How much time do people spend in Leeds? Answer : The average time spent hanging out in Leeds by passengers from Toronto is about one week. However long you decide to stay, give yourself plenty of time to see what makes Leeds fantastic. Question : What is the cheapest airline flying from Toronto to Leeds? Answer : Delta Air Lines is your best travel expert for finding that coveted low fare. They offer fares as low as $940, while prices for similar flights are as high as $4,046. Question : What is the cheapest date to fly to Leeds? Answer : As of Apr 22nd, the cheapest day to fly from Toronto to Leeds is May 10th. Tickets are currently being sold for $940, 47% less than the average price. Question : How much is a plane ticket to Leeds (LBA) from Toronto (YYZ)? Answer : Cost can range anywhere from $940 to $4,046, prices for YYZ to LBA do fluctuate much more than the majority of routes from Canada. Prices are usually cheaper the further out you book. Answer : The cheapest day to fly from Toronto to Leeds is on Tuesday. If you are trying to save a bit of cash on your next getaway look for flights on Tuesday.